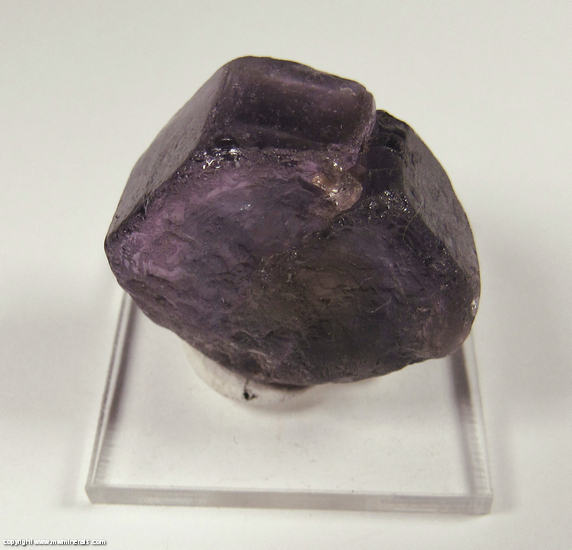 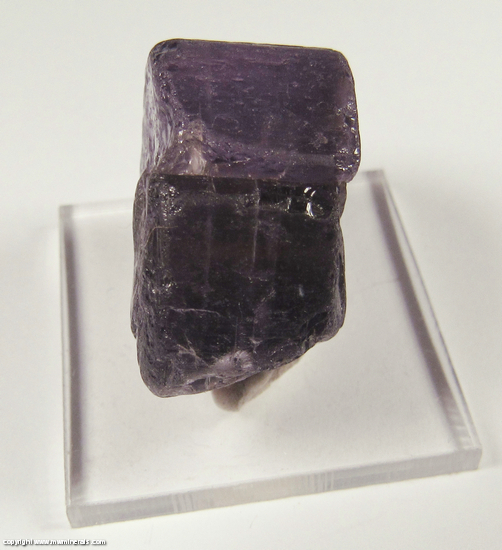 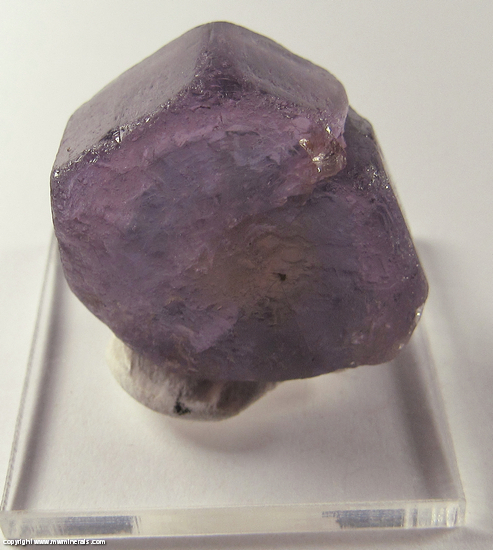 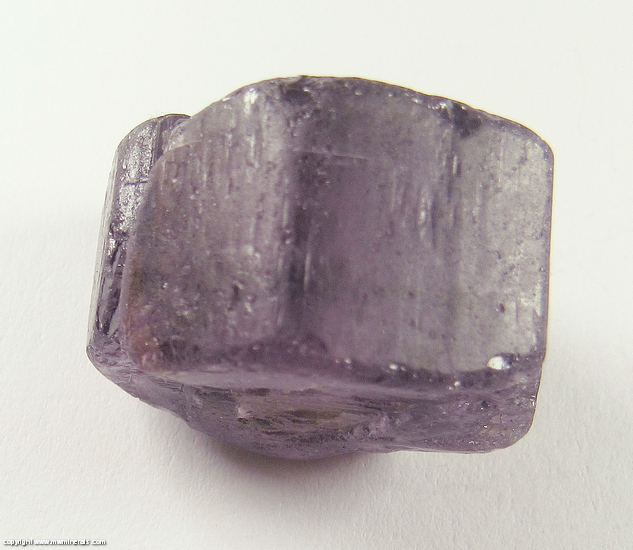 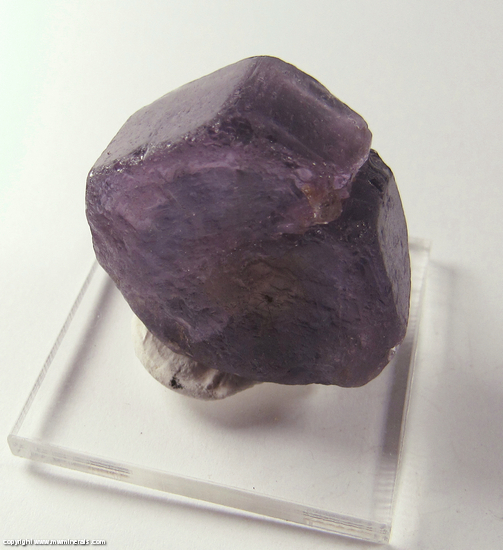 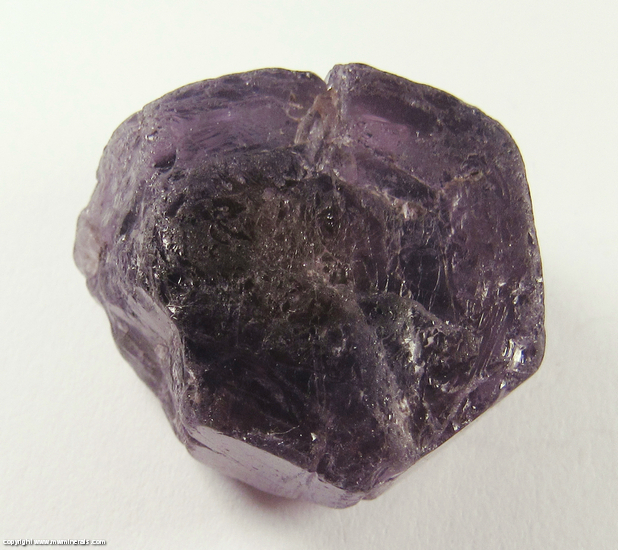 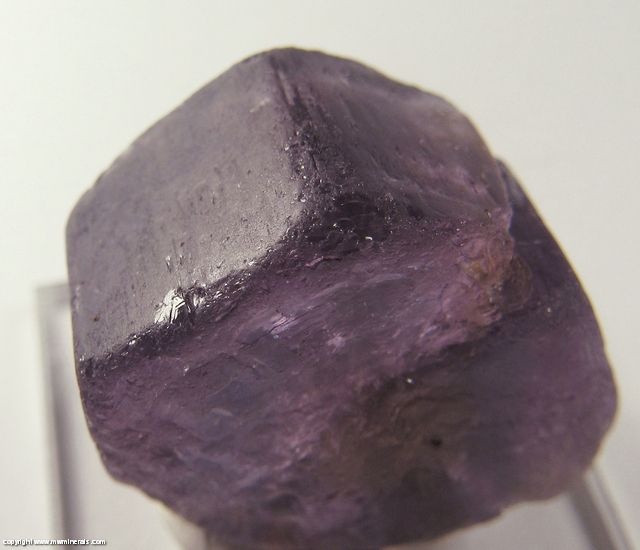 A single, relatively large crystals of purple colored Fluorapatite. 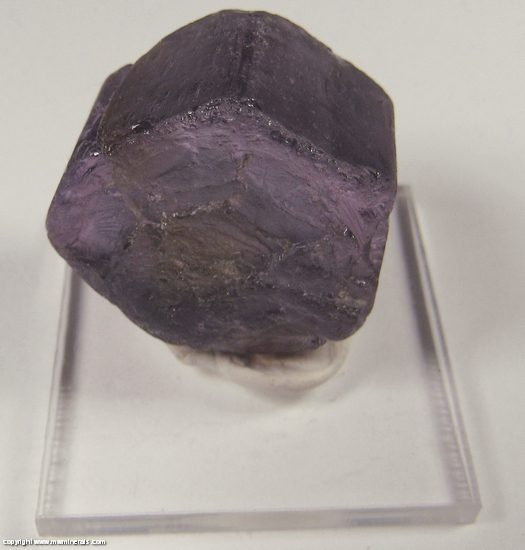 The color is muted a bit due to a central core which is colored light brown. 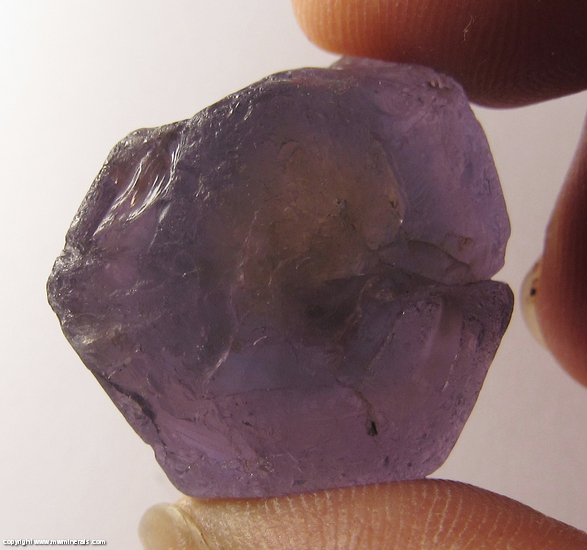 Flaws: There is some wear on the edges and some chipping.